Showing items in category Saint Christopher, sorted by newest listed first. 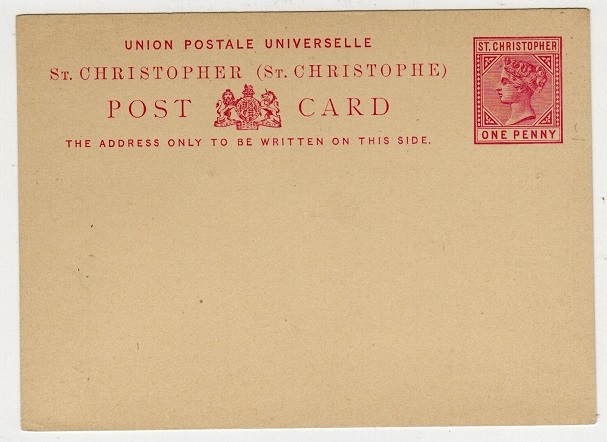 ST.KITTS (St.Christopher) - 1882 1d rose PSC unused. H&G 2. 1882 1d rose on buff postal stationery postcard. Fine unused. H&G 2.